House leaders unveiled a $39.5 billion budget proposal Wednesday that would direct new money to cities and towns, seek to modestly boost the pay of low-wage nursing home and early-education workers, and kill a controversial proposal by Governor Charlie Baker to cut welfare payments for the disabled. The spending plan, which doesn’t raise taxes or fees, would also increase funding for the University of Massachusetts and community colleges by only 1 percent, a smaller boost than in recent years. The budget proposes $159 million in new money for aid to cities and towns. That cash is used for such services as firefighting and trash pickup. It also would boost funding for public schools by $106 million. To help workers scraping by, the plan would allot more than $30 million in new money for boosting the wages of nursing home employees and an additional $10 million for early-education workers. And the budget, in line with Baker’s proposal, allots millions more to fighting the scourge of substance abuse, adding 200 new beds for people recovering from drug addiction. But one place where it differs with the governor’s spending plan: welfare. 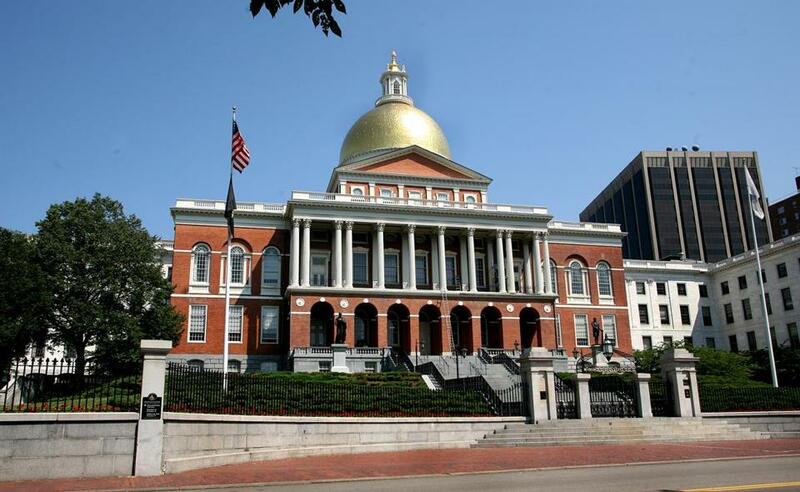 Baker’s proposed change would cut cash assistance to the disabled and pour the estimated $29 million in savings into job training, transportation to and from work, and child care. The initiative would make good on the governor’s campaign pledge to overhaul welfare and promote work. But it has faced sharp criticism from advocates for the poor, who say the job supports are worthy but would do little for the disabled, who cannot work. “To do something that is going to hit families that are headed by a severely disabled parent, and pauperize them even further, would put children at dramatically increased risk of homelessness, hunger, and illness,” said Deborah Harris, senior staff attorney with the Massachusetts Law Reform Institute, when the governor released his budget in January. The House and the governor also diverge a bit on education spending. Baker has proposed $20 million in new funding for traditional public schools that lose students to charter schools. The House is offering a more modest $5 million increase. House leaders got some pushback from environmentalists, who said the proposed budget cuts too deeply into environmental protection. Leaders of the state’s judicial branch said it could lead to significant job cuts. Lawmakers have limited discretion over to how spend taxpayer dollars. Ballooning health care costs for the poor and disabled continue to make up about 40 percent of the budget. Pensions and debt service payments eat up sizable chunks. Similar to Baker’s plan, the House budget would rely on $253 million in one-time money — cash that can’t be easily replicated from year to year. That includes $150 million diverted from the state’s emergency rainy day fund, which worries watchdogs who think Massachusetts’ savings account should be better stocked.